Wayne Teig oversees ITRA Global ǀ Minneapolis - St. Paul office. The primary focus of the company is providing corporate real estate advisory services to businesses that lease space, own property, or want to acquire property. ITRA Global advisors work across product types, having clients in office, industrial, medical office, and specialized industries. The company provides corporate real estate advisory services on commercial leases, purchases, property sales, site selection, land acquisitions, and strategic planning. 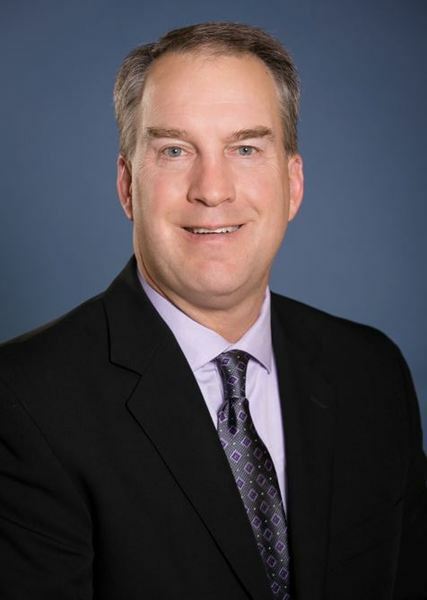 During his 24 year tenure in the commercial real estate industry in the Twin Cities, Wayne has managed in excess of 3 million square feet of lease transactions and over $300 million in property acquisitions and sales. Wayne spent the first portion of his career working on behalf of highly touted national and global real estate companies including United Properties (now Cushman/Wakefield), Carlson Real Estate Company, and CBRE. At Carlson Real Estate Company, Wayne oversaw the firm's asset management, leasing, sales, and property acquisitions for several years. He was also involved in the development of several Class A office and industrial properties for the company in the Twin Cities. Wayne understands how landlord’s think, their approach to leasing space, lease economics, and the typical negotiation strategies that landlords use against tenants on leases every day. Because Wayne understands the landlord’s playbook, he is able to provide his corporate clients with proactive strategies to achieve superior results on new leases and lease renewals. Wayne served on the Board of Directors for the Twin West Chamber of Commerce in 2015 and also is the Immediate Past Chair of the Twin West Chamber Foundation. In 2016, the company was honored with the Silver Circle Award by the Chamber. Wayne also served on the Board of Directors for the International Facility Managers Association (IFMA) in the Minnesota Chapter from 2013-2015. He was named the Minnesota Chapter’s Rookie of the Year for 2013. Wayne has been a licensed real estate professional in Minnesota since 1993 and currently holds a Minnesota Real Estate Broker's License. Wayne has completed both the RPA and CPM designations through BOMA and IREM respectively. When not working, Wayne enjoys taking advantage of the outdoors with family and friends. He is a certified SCUBA diver and also enjoys fishing and tennis. Minneapolis is the county seat of Hennepin County, and larger of the Twin Cities, the 14th-largest metropolitan area in the United States, containing approximately 3.8 million residents. Minneapolis is the largest city in the state of Minnesota and 46th-largest in the United States with 400,070 residents. Minneapolis and Saint Paul anchor the second-largest economic center in the Midwest, behind Chicago. Minneapolis lies on both banks of the Mississippi River, just north of the river’s confluence with the Minnesota River, and adjoins Saint Paul, the state’s capital. The city is abundantly rich in water, with twenty lakes and wetlands, the Mississippi River, creeks and waterfalls, many connected by parkways in the Chain of Lakes and the Grand Rounds National Scenic Byway. It was once the world’s flour milling capital and a hub for timber, and today is the primary business center between Chicago and Seattle, with Minneapolis proper containing America’s fifth-highest concentration of Fortune 500 companies. As an integral link to the global economy, Minneapolis is categorized as a global city. Seventeen (17) Fortune 500 corporations make their headquarters within the Twin Cities area. A few of the more notable companies are: Target, U.S. Bancorp, Xcel Energy, Ameriprise Financial, Thrivent Financial, United Health Group, 3M, General Mills, Best Buy, and Medtronic. The Twin Cities also has some of the largest private companies in the world, including Cargill, Carlson Companies, and Holiday Companies. The Twin Cities is home to many public and private universities as well as major professional sports teams that contribute to the overall high quality of life enjoyed by Twin Cities’ residents.